Featuring: Sevendust. Also Included Sevendust, Children Of Bodom, Operation: Mindcrime, Screaming At Demons, Outlaws & Moonshine, John 5, Holy White Hounds, Disciples of Babylon, Tom Keifer, Madysin Hatter, Heart and Much More. SCREAMING AT DEMONS – Redefining "Rock Stars"
ATREYU's Long Live has landed and the numbers are in. It's the band's first album since 2009. Here are the numbers. *The album spent the week at No. 1 on the iTunes and Amazon Metal Charts *Over 15,000 sold, including streams *No. 17 on Current Albums Chart *No. 26 on Top 200 Chart *No. 4 on Hard Music Chart *No. 9 on Rock Chart *No. KYLE LUCAS PREMIERES NEW VIDEO FOR SINGLE "VERITAS"
CHILDREN OF BODOM Release Official Video For "Morrigan"
STEREOPHONICS New Album--'KEEP THE VILLAGE ALIVE'--Out Now! LONG LIVE ATREYU! STREAM ALBUM NOW! REDDIT AMA HAPPENING TODAY! TOUR LAUNCHING THIS WEEKEND! 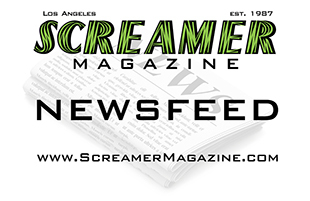 ARMS FOR ELEPHANTS STREAM NEW ALBUM "MY JUDAS SCENE"
DARLING DOWN RELEASES MUSIC VIDEO FOR COVER OF DEMI LOVATO'S "COOL FOR THE SUMMER"
BLACK LODGE UNVEIL NEW PERFORMANCE MUSIC VIDEO "THOUGHTS"
W.A.S.P. 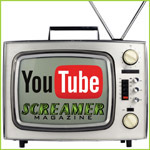 DEBUT LYRIC VIDEO FOR "SCREAM"